The logo of Maruti Suzuki India Limited is seen on a glass door at a showroom in New Delhi, India. (Photo: Reuters) Country's largest carmaker Maruti Suzuki India today posted 3.4 per cent rise in net profit at Rs 2,484.3 crore for the second quarter ended September 30. The company had reported a net profit of Rs 2,401.5 crore for the same period of previous fiscal. 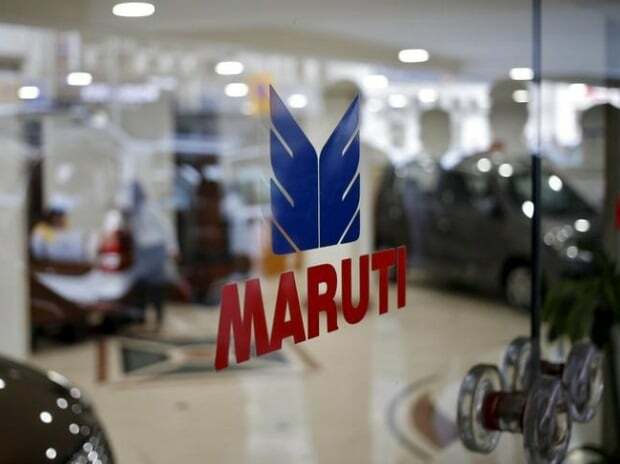 Net sales rose 7 per cent to Rs 21,438.1 crore for the quarter under review, as against Rs 20,048.6 crore a year ago, Maruti Suzuki India (MSI) said in a statement. The company said its net profit increased by only 3.4 per cent due to lower non operating income as the yields of investment were lower compared to last year. Moreover, there was some impact of commodities and advertisement expenses along with increase in effective tax rates, it added. During July-September period, the company sold a total of 4,92,118 vehicles, including 34,717 in overseas markets, a growth of 17.6 per cent over the same period a year ago. The company's stock was trading at Rs 8,171.45 per scrip, up 1.18 per cent on BSE.